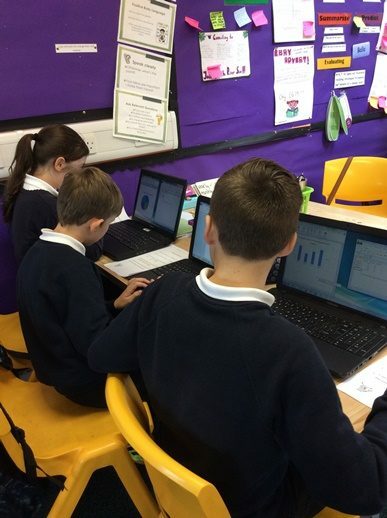 The Digital Leaders from Kirn’s Primary 6 spent a morning being teachers for members of our community who felt they wanted to come back to school and find out more about the online world. 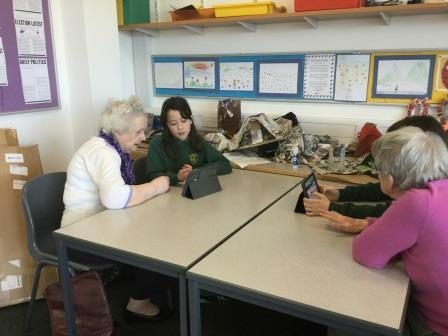 Using the school iPads P6 pupils began with the basics – turning the iPads on and and finding out what an app is. Then they were off! 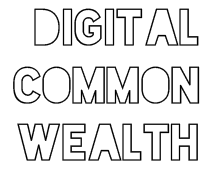 Soon holidays were being browsed and online shopping was being investigated. Chris Riddell Illustrates Kirn’s Question! 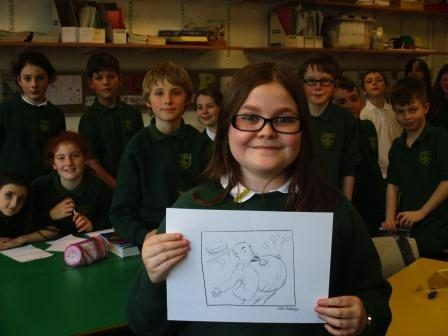 We’re always looking forward to Authors Live at Kirn so were eager to tune in to the latest broadcast featuring Children’s Laureate Chris Riddell. P4/3, P4, P5, P6/5 and P6 had already researched Chris and looked at a selection of books filled with his amazingly detailed illustrations. We had also prepared questions for Chris and emailed them in advance, hoping that one of our questions would be read out during the live show. Tables Turned on Dunoon Observer ! The tables were turned on the Observer today, when the interviewer became the interviewee. Reporter Georgia Love was at Dunoon Primary School to interview head teacher Mrs Stewart, only to be asked to be interviewed herself as part of a school project on news gathering. She was expertly “grilled” by Callum Crofts and the whole thing was filmed by David MacGillivray. 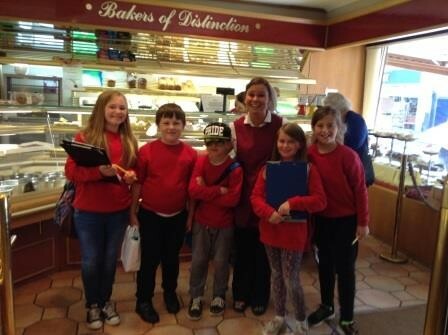 As part of our Food for Thought IDL, Strone pupils took to the streets of Dunoon on Friday to ask local businesses about how much of their produce is locally sourced. 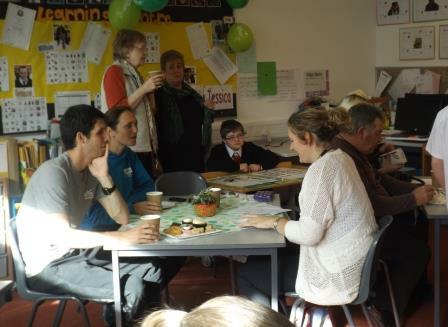 All businesses involved were very supportive and provided lots of information for the pupils to work on. 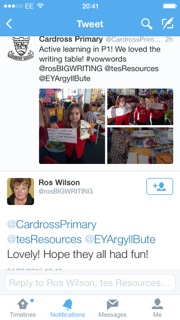 Ros Wilson Tweets her support for Cardross! 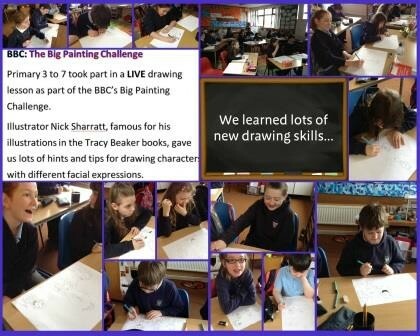 Ros Wilson the creator of Big Writing was impressed by writing at Cardross Primary. 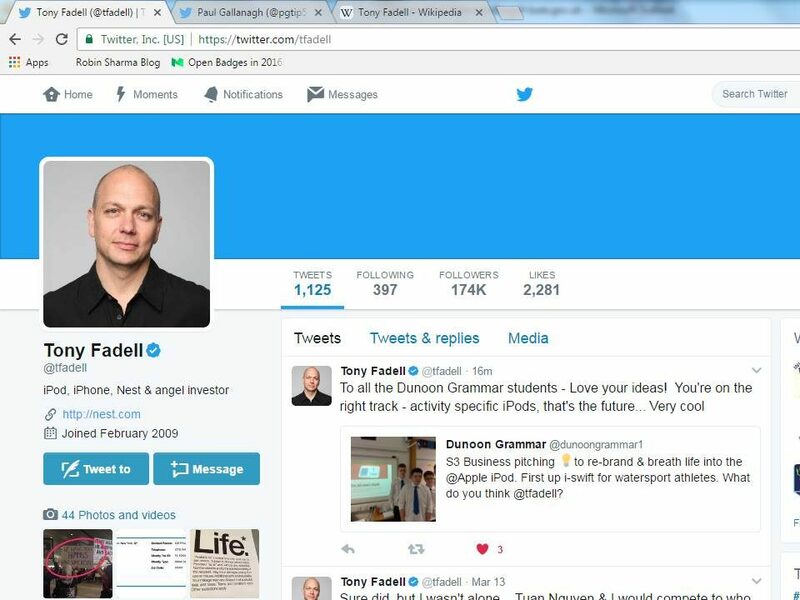 We were delighted she tweeted her support to our learners! 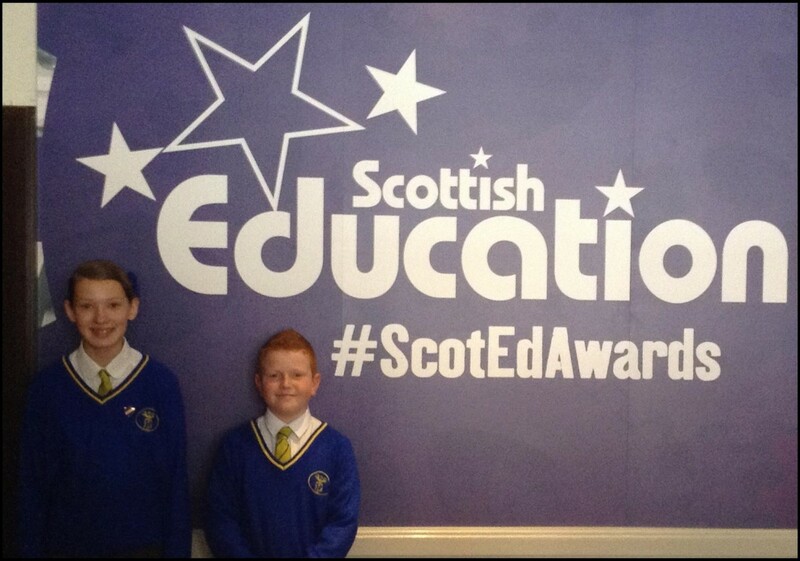 Cardross Primary recently welcomed Chrissie Lamont from Education Scotland. Chrissie was impressed with our technology work at the Scottish Learning Festival and is looking forward to working with us on some exciting GLOW projects. 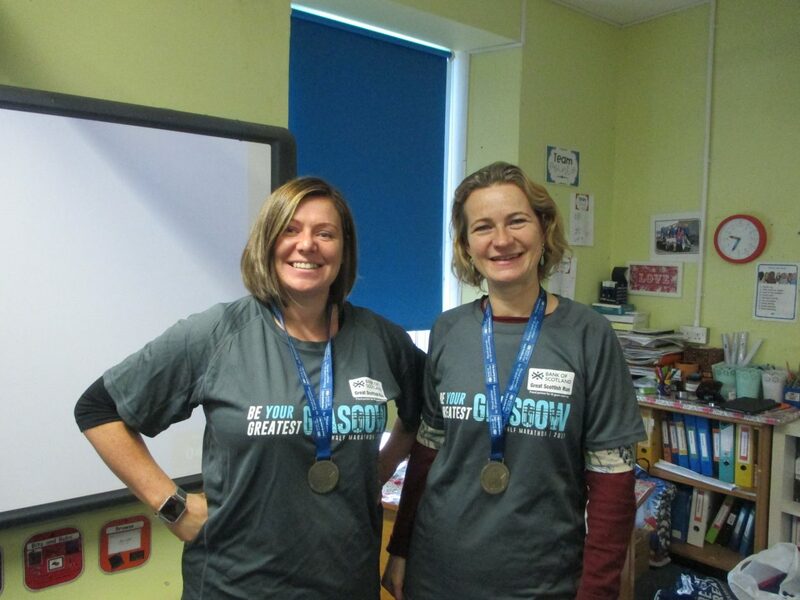 We are GLOWing at Rothesay Primary! Several classes at RPS are working on blogging in connection with John Johnston of GLOW. 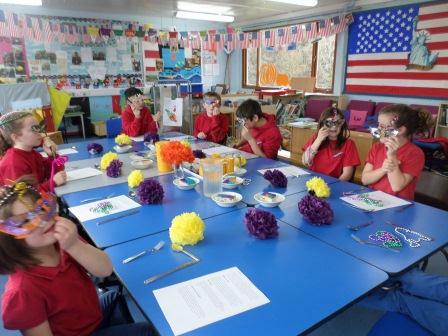 We are working through tutorials with the classes through GLOW Meet and having lots of fun getting involved! 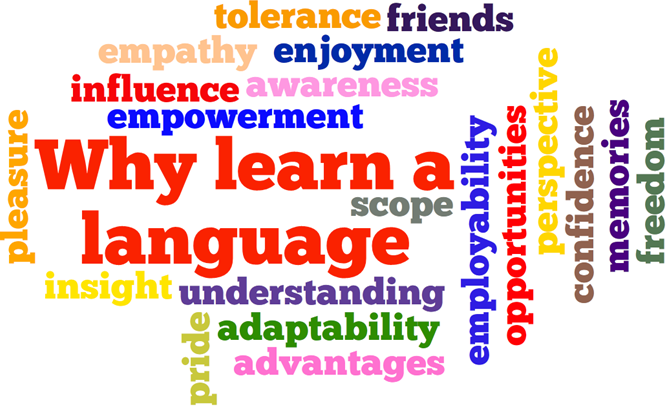 The pupils will learn more about GLOW during the process and work on their communication skills! 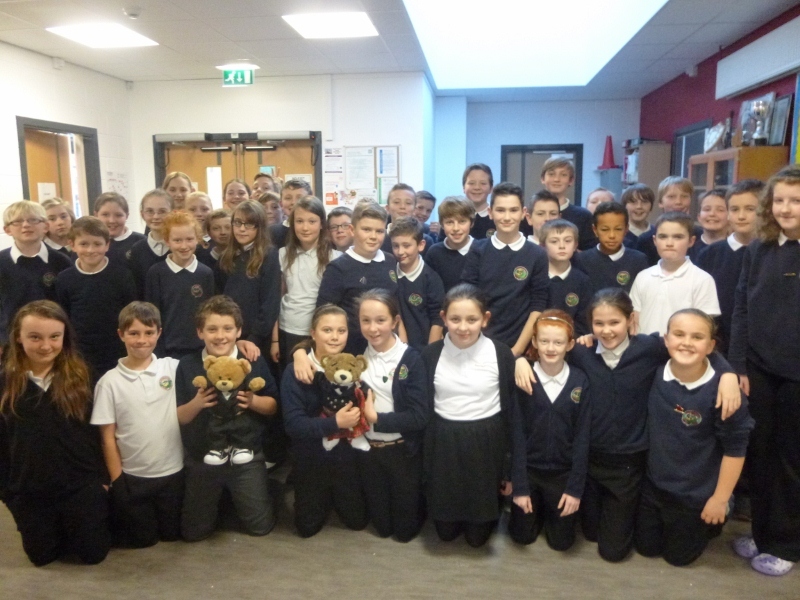 P7 and P7/6 pupils are shown here on the morning after a very successful ’Night at the Movies’ which was the final outcome for their Very Important Bear interdisciplinary learning topic. 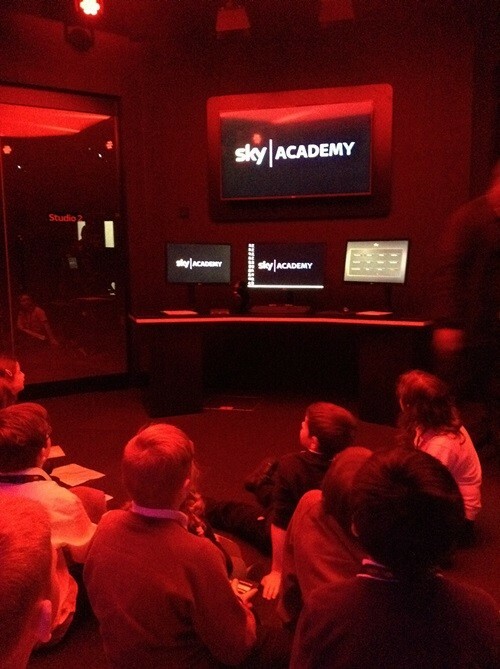 Pupils worked in groups of four to produce their own movies. They wrote the scripts, made props and then filmed using iMovie on our recently acquired iPads. Finally pupils edited their work, added titles, music and credits to produce the finished movie. The Assembly Hall was packed as parents and friends were treated to twelve very entertaining movies. The cakes and popcorn also went down well! 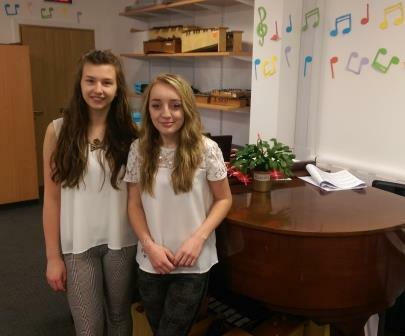 Arlene MacKechnie (15) and Abigail Pryde (17) from the Argyll and Bute school published a version of Eric Bogle’s iconic song ‘No Mans Land’ on Social Media on Remembrance Day, 11 November, 2014 – a version of the song that Eric himself has described as ‘truly truthful and emotive’.